Once hard to find, Concordia’s Sexual Assault Resource Centre will be relocating to a new, more accessible space in the Hall Building at the end of this week. Since its launch in 2013, the SARC has operated out of a secluded, closet-sized office tucked away on the third floor of the GM Building. Packed in with a handful of unrecognizable offices, many found navigating the halls difficult, even with the help of printed signs taped up on the walls. “I am very excited about moving, it’s going to be awesome,” said Jennifer Drummond, coordinator for the centre. The SARC will be packing up this coming Thursday, and setting up on the sixth floor of the Hall Building in room H-645 on Friday. By Feb. 13, the new office will be ready to start accommodating the community in a fresh, more appropriate space. Prior to the move, there was no reception area where students could wait to meet Drummond if they needed help. The Centre’s recently hired service assistant, Ashley Allen, was working in a separate office down the hall. 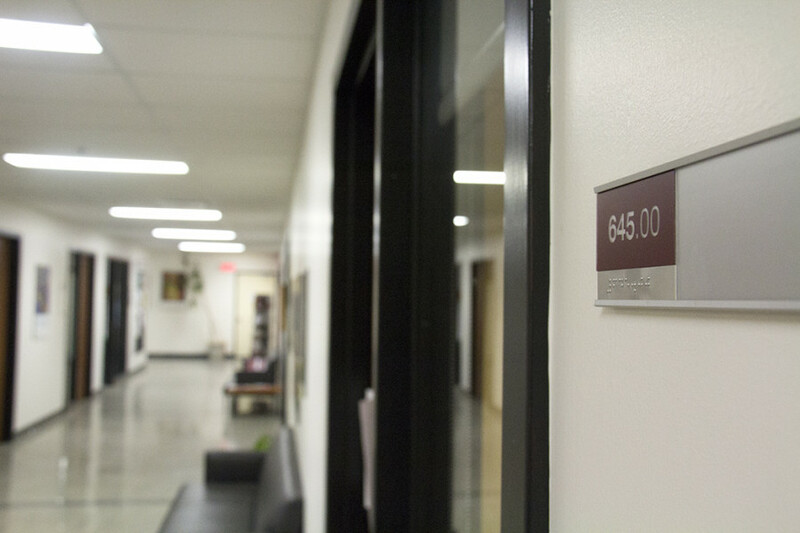 Among the various services that Drummond provides to the Concordia community, she meets one-on-one with students to help them cope and address experiences of sexual violence. The drop-in centre, which is open every weekday from 9 a.m. to 5 p.m. was also in a space detached from Drummond’s office. The office space will be through the glass doors in front of the escalators on the sixth floor. Although the SARC will now be in a busier part of campus, the hallway still provides a private environment, and a more accessible one, too. “The fact that we have a door that closes our unit off from the hallways, I think is good,” Drummond said. A new space for the SARC means new opportunities to bring awareness to the centre’s services. Once they’re settled in, the centre will have an open house. “People can come check out our new space and be reminded of our existence and our services,” said Drummond. The open house doesn’t have an official date, but Drummond speculated that it would take place at the end of February. They also plan to start hosting a monthly breakfast, in hopes of growing the community and perhaps providing a softer introduction to students who might be thinking of reaching out. A previous version of this article misattributed a quote, spoken by Jennifer Drummond, to Ashley Allen. The Link regrets this error.